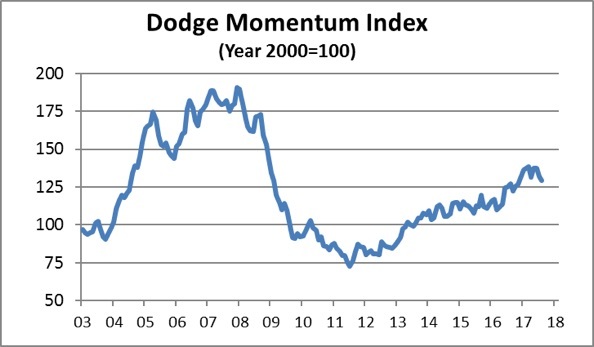 The Dodge Momentum Index moved lower in August, falling 2.4 percent to 129.1 (2000=100) from its revised July reading of 132.2. 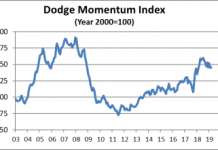 The decline in August can be attributed to an 8.7 percent drop in the commercial component of the Momentum Index, while the institutional component rose 7.3 percent. 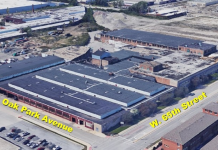 The commercial component has seen a steep rise over the past year as large projects – particularly office buildings – entered the planning cycle. The August retreat for the commercial component brings planning activity back to a level more consistent with a sustainable pace of development. 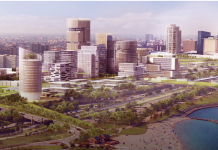 In August, eight projects entered planning each with a value of $100 million or more. 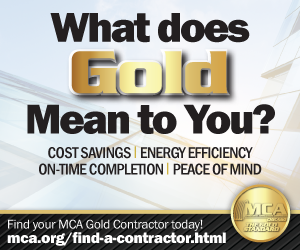 For the institutional building sector, the leading projects were the $230 million University of New Mexico hospital replacement project in Albuquerque NM and a $218 million high school in Aledo TX. The leading commercial building projects were the $205 million Niagara Falls Grand Hotel in Niagara Falls NY and a $178 million Amazon fulfillment center in Salem OR.